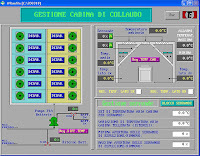 Official blog of Tecnoespe Srl, the Italian company specialized in industrial automation and system monitoring. 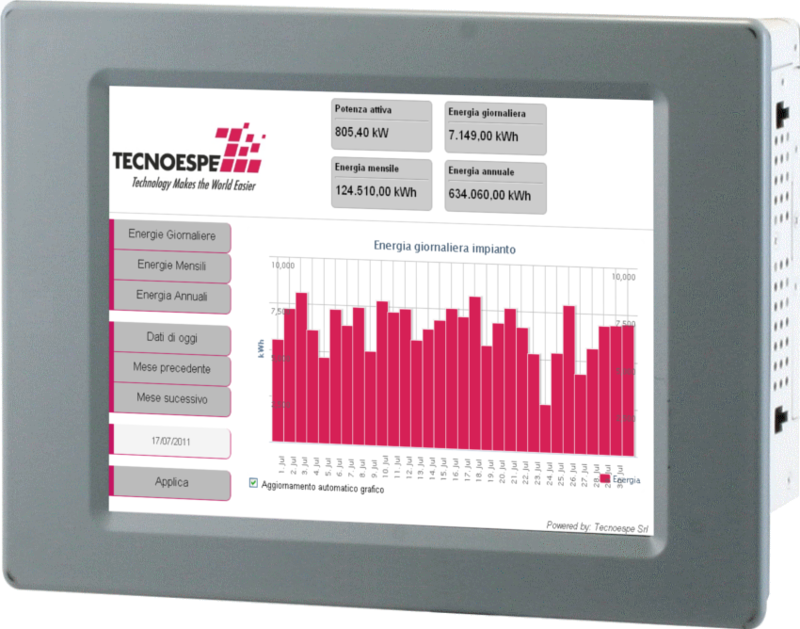 Within renewable energies and photovoltaic, Tecnoespe Srl has realized a control room for the management of more than one hundred of photovoltaic systems. 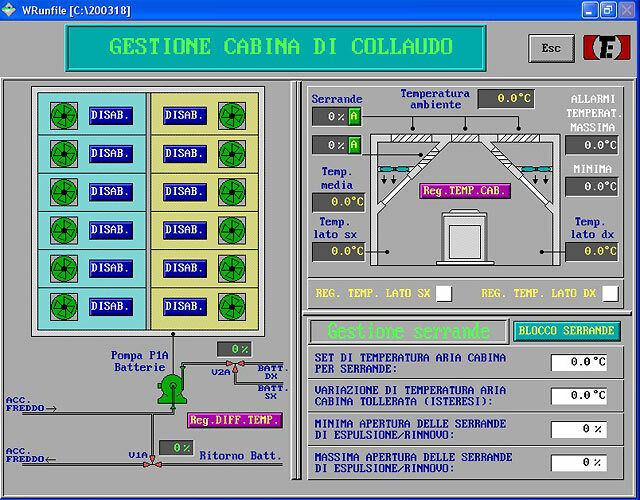 The control room is equipped with high-resolution displays for a practical overview of the status of all systems. A single centralized supervision will monitor all systems, providing the operator with an effective overview. 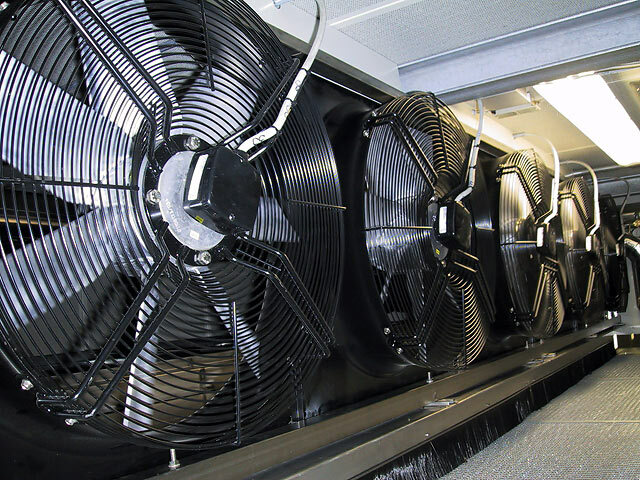 Each monitored plant, sends its data to the local supervision used for maintenance and to centralized remote supervision for control operations and system monitoring. 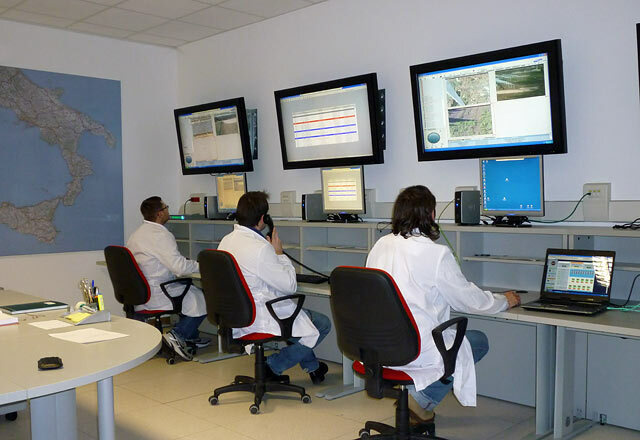 Currently the control room manages 128 plants with our supervision. This room is also supported by a video surveillance system and intrusion detection system. 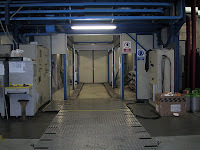 Automation of testing rooms for heat pumps and chillers. 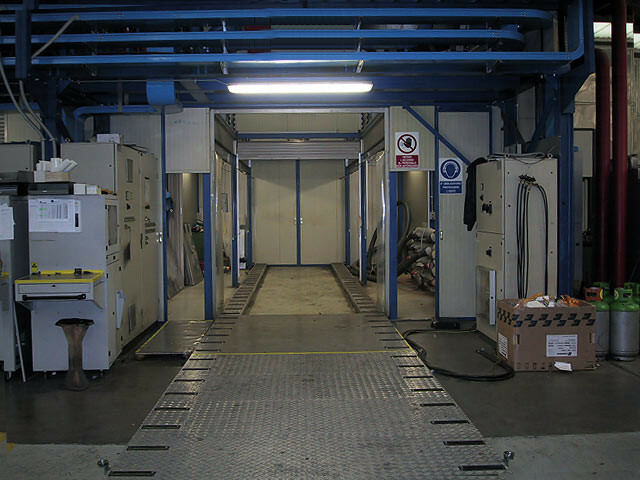 For more than ten years, we offer automation and assistance to companies that make use of test rooms to check their own products or third party products. 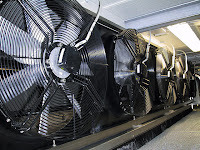 Tecnoespe has performed many of these works for test rooms dedicated to heat pumps and chillers (air conditioners). The entire testing process is monitored and controlled by a supervision, which is a program that displays all the data of the cab in real time and in which the operator can perform certain control and management operations. The reporting system integrated into supervision allows you to collect all the parameters of the machine being checked throughout the test cycle. The generated reports are documents in which all the measurements are given as tables and charts. These reports will be used to certify the testing process of the product. CIP (Clean In Place) for plants washing . 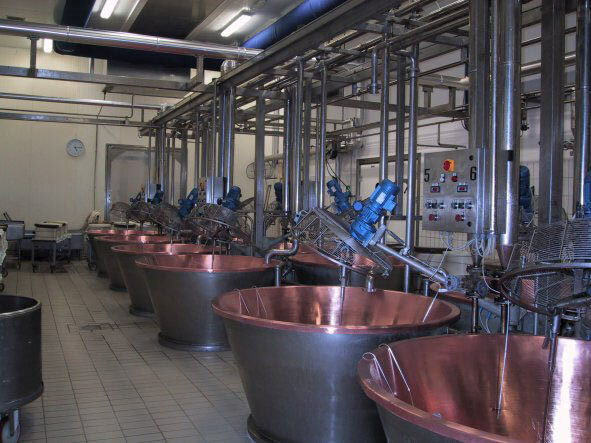 All works are carried out in full respect of the laws concerning safety and hygiene; the electrical panels, for example, are made in stainless steel and are waterproof for isolate the electrical components from the water. To allow an increasing number of users to follow us, we have created our official LinkedIn page. This platform will enable users to follow Tecnoespe Srl and keep up to date with us. Click the "Follow" button below. 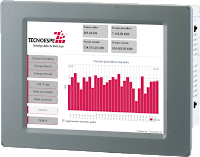 EnerControl is the product developed by Tecnoespe for the control of photovoltaic plants of small and medium sizes. This product is characterized by its qualities of simplicity and completeness: the user can access all the essential system data with practicality and immediacy. EnerControl is also an "open" system: unlike many products on the market, EnerControl is able to communicate with any inverter equipped with a communication protocol well known; this allows it to obtain important data for the detection of faults and/or anomalies of the entire system, regardless of brand of the inverter installed. Another very important feature of this product is the ability to view the system data from external devices such as smartphones, tablets and PCs. All this by simply connecting EnerControl to your local network (LAN) or to the Internet. Tecnoespe Srl official page, was created in the famous social network. To visit it please follow this link. Click the "Like" button to follow us and stay up to date with our profile. Tecnoespe Srl will participate in the construction of a new hydroelectric plant of 10 MW in Sapanta (Romania). As established, Tecnoespe will take care of everything related to the automation: from the construction of switchboard to the development of software that will manage automatically the 4 turbines under construction. In 2006 Tecnoespe has realized the automation for 4 hydroelectric plants in a Firiza and Blidari north of Baia Mare in Romania (see the related post on our blog); skills and strong experience will be the key to the creation of this new work. The approximate area where the new power plant is being built, can be viewed through this link. In our YouTube channel has also been published a photo slideshow of the construction work.